"""This lightweight shell jacket is designed for the dynamic mountaineer and built for fast mountain ascents. 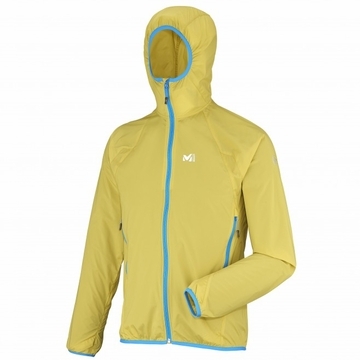 It is the lightest, most minimalistic and packable jacket of the LTK Series. The LTK Stunner Stretch delivers high performance in challenging environments with its extraordinary light weight. The Air Stretch Dobby is a Replex fabric that ensures optimum comfort and performance. Weft-and-warp nylon polyamide is mechanically stretch, wicks moisture, is quick drying, abrasion resistant and a long-lasting water repellency treatment enhances protection. The Alpine Fit reduces bulk around the body and gives enough room for unrestricted movement and an ergonomic design allows swift movements and arms mobility, preventing the sleeves from riding up. A minimal elastic binding construction at hem, wrists and around the hood opening cinches naturally and securely, following body movement and sealing the elements out. The balaclava hood moves with the head, increasing freedom and peripheral visibility. With high-visibility markings (reflective logos), the LTK Stunner Stretch jacket is ideal for fast and light adventurous runs on a variety of terrain, in daylight or low light and dark conditions. 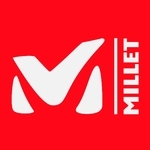 It's the kind of jacket everyone should have in their backpack, according to Florent, tech rep at Millet.